The on-board console is able to receive input of the performing athlete’s weight. It is important to input the user’s weight in order to ensure that the data output for each SUP Ergometer is specific to the weight of the athlete that is using it. If no athlete’s weight is entered, a default weight of 75 kg or 168 lbs is automatically used. Please refer to the KayakPro On-Board Console Instruction Manual for information on how to enter athlete weight.  The standard On-Board Console should be calibrated each time the ergometer is used - this will ensure consistency and accuracy of data output and consistency between SUP Ergometers. TICKR - is super reliable, accurate and secure. 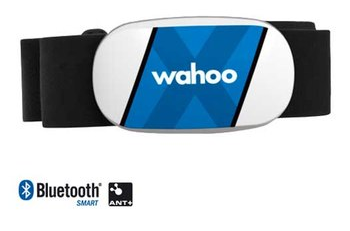 It tracks your heart rate and calorie burn during any activity or workout. It offers both Bluetooth and ANT+ compatibility. We are also currently working on compatibility and integration with our friends at Wahoo and TICKR to integrate their Training App. with our on-board consoles this will then allow you to not only view your training profiles in real time - but to also post workout, record and share your training data to one of 100+ Training apps like Garmin, Strava, Applefit, Nike Fit, Suunto Moves Count, and many more.